This homily was given as a commentary on a very sad situation in Lewistown, MT in which two Catholic men (one of whom is an "ex"-priest) have entered into a gay civil union. The pastor of the parish has informed them that they are not permitted to receive communion on account of the fact that they persist in manifest grave sin. The bishop (His Excellency, The Most Reverend Michael Warfel) has supported the priest and stated that the men cannot receive communion. The secular papers and many secular people (including some name-only Catholics) have blasted the Bishop, the priest, and the Church for holding to the doctrine of Christ. Summary of the Sermon: "Who is intolerant of whom? If two men want to enter into a civil union, there are any number of churches where they can go to receive communion, why must the world insist that the Catholic Church give them Communion. Have we not the right to govern the administration of our own sacramental life?" Below is the audio and handout of the first lecture for a series on prayer I am giving at Corpus Christi Parish in Great Falls, MT -- Tuesday evenings from 7 to 8pm. Will I really go to hell for just one mortal sin? When someone virtuous turns away from virtue to commit iniquity, and dies, it is because of the iniquity he committed that he must die. Speaking to the prophet Ezekiel, Our Lord makes clear that one mortal sin causes not only the loss of the state of grace, but also the loss of all previous merit. For, by a single mortal sin, by which a just man turneth himself away from his justice and comitteth iniquity, all the good he has done will be set aside and forgotten, and he will not live but he shall die eternally. Without sanctifying grace habitually present in the soul, no man can possibly be saved. The question of a man’s eternal destiny comes down to this: If he should die in the state of grace, with the divine life present in his soul, he will live eternally in heaven. If he should die in mortal sin, without the divine life present in his soul through grace, he will die eternally in hell. Let us consider why all the good deeds of a lifetime are not enough to save a man who dies in the state of mortal sin. This sermon is from two weeks ago. On the Cross as exalted in the lives of the saints. The biblical and rational foundation for excommunication. What excommunication really means and why the Church has the authority and the duty to excommunicate. If the stream below doesn't work, listen online [here]! 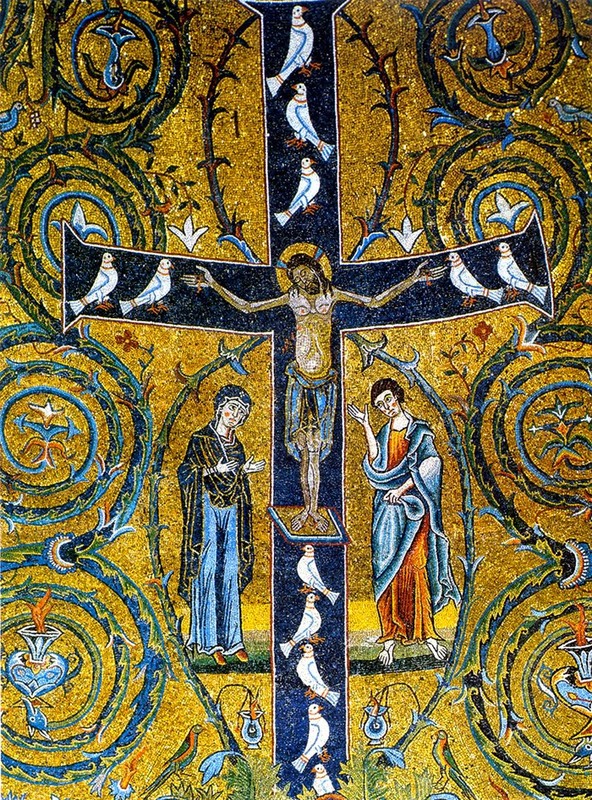 The True Cross of our Lord, whose feast we celebrate this Sunday, is given such honor, love, and adoration by the Church on account of the marvelous union it shared with our Savior. Let us consider how the Cross was united to the Lord by comparing this union to the Hypostatic Union of Humanity and Divinity in Christ. 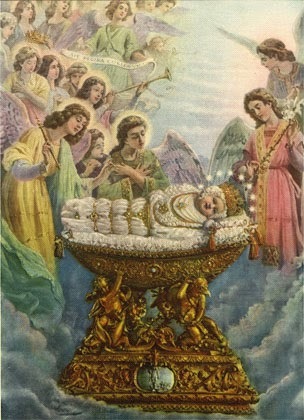 Some may be surprised to learn that St. Alphonsus, whom the Church recognizes as the most learned and to trustworthy theologian regarding doctrine about the Blessed Virgin Mary, teaches as certain and deserving of pious belief that Our Lady had the perfect use of reason from the first moment of her Immaculate Conception. Mary was no ordinary child in the womb, nor was she a typical infant or young girl. Rather, according to the Marian Doctor, the Blessed Mary had attained to the use of reason even while in the womb of her mother. Let us consider the reasons for holding this pious belief, and then ponder what it would take for Our Lady to be so exceptionally blessed. Should the Church excommunicate anyone? Can the Pope send a man to hell? 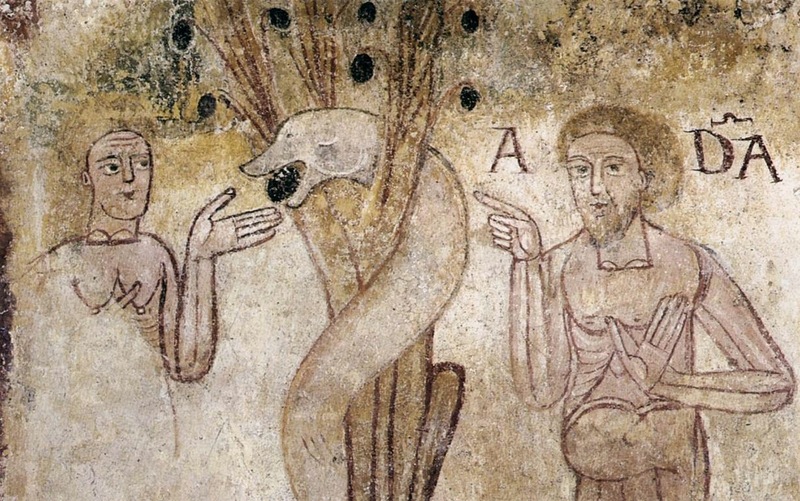 There can be no doubt that the power and practice of excommunication is well established both in Sacred Scripture and in the Apostolic Tradition. Not only in ancient times under the prior dispensation, but even in the New Testament, we read of men suffering the penalty of excommunication. 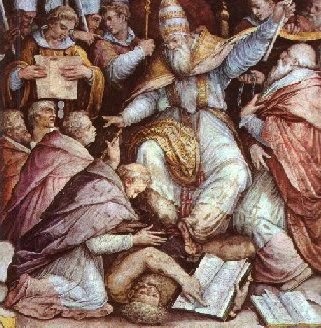 To reject the notion of excommunication is to reject the revelation given in Scripture and Tradition, and therefore it would be a rejection of the faith itself. And so we ask, Should the Church ever excommunicate anyone? Furthermore, considering the effects of excommunication, we ask, Can the Pope exclude someone from heaven?